LET US SHOW YOU IKARIA! Make the most of your holiday in Ikaria by participating in a day tour or fun outdoor activity. Its the best way to discover the beauty and secrets of Ikaria while meeting Ikarians, surrounding yourself in nature and being an active traveler. 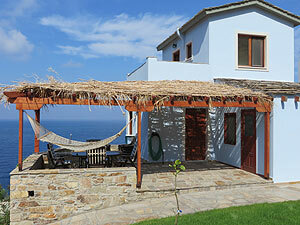 We want to show you the "Real" Ikaria. Join us on your upcoming holiday! Experience Ikaria's beautiful coastline, visit Drakano Fortress, swim & snorkel on secluded pristine beaches. Lunch Incl. A fun filled day of adventure sailing to Fourni Islands beautiful beaches & hidden coves. Trip features; snorkelling, swimming & lunch. Choose from many different options for all levels and ages. Customized tours, high mountain, forest, village scenery, ancient paths. A unique opportunity to observe the night sky at the top of Ikaria. Gaze at the Milkyway, stars, planets, moon " other deep space objects. Offroad Adventure Driving. See the wild side of Ikaria and visit hidden mountain villages, remote sites and places only accessible by 4X4. Visit Monasteries, Villages, Wineries, Scenic Mountain Plateau, Byzantine Castle, Randi Ancient Forest, Waterfall & Lunch Included. South Side Sightseeing - Drakano Fortress, Best Beaches, Sites, Therma Spa Town, Natural Hot Springs - Agios Kirikos & Museums - Lunch. Boat & shore based diving around Ikaria & Fourni. Wreck Dives, Sailing & Diving Day Trips. Discover Scuba for beginners. Cook, taste, learn about & experience healthy Ikarian food + a farm visit. 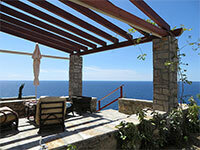 See why Ikaria has been designated as a Blue Zone. From the spring until early summer is the best season to experience Ikaria's beautiful and exotic water landscapes and waterfalls. All Inclusive Private Tours. Experience the island's diverse culture, nature, sites, people & ;landscapes. 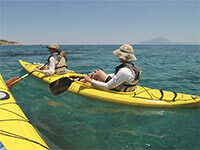 Range of activities, trips & tours.